A wonderful post- Cook was one of my heroes as both a New Zealander and a writer. Great article. 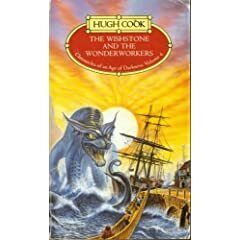 I sad to say I haven't read any Hugh Cook yet. I will go forth and hunt out his books now. I look forward to reading them. 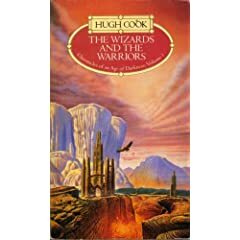 With Hugh's books having such a great reputation and being very hard to find, is there any chance that these books will be published as eBooks in the future? I think it would help increase their availability and audience. I have the first four but would very much like to read the remaining six but I'm afraid I probably won't get the chance unless they are published electronically. Debbie: I can lend you some of mine when we get together soon. Mark: You can find online versions of Books 9 and 10 at http://www.zenvirus.com. Many of the Chronicles also appear in second-hand book stores (in NZ) from time to time. If you would like to email me your details (rabarts (AT) gmail (dot) com) I can keep an eye out for them and pick them up if I see them, and let you know the price. 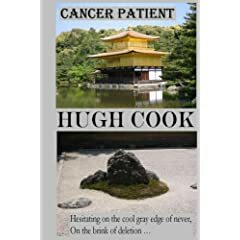 As far as ebooks go, I have discussed with Hugh's family the possibility of making his out-of-print works available either in electronic format or through a print-on-demand service, and even as audiobooks, all of which were forms that Hugh embraced in his lifetime. I hope that we might be able to make some progress on that in 2010. Watch this space, I guess. I had most of them at one stage, but sadly sold them when I needed some money. I kept The Walrus and the Warwolf though. Wow, that is a rollicking great adventure that I can read again and again. Very funny parts, too. I didn't realize how hard they were to seek out now. I'm glad there are other fans of his writing out there. I've never understood why an author who brought such warmth and originality to the fantasy genre isn't better known. It would be great to see his book available in the ebook formats.